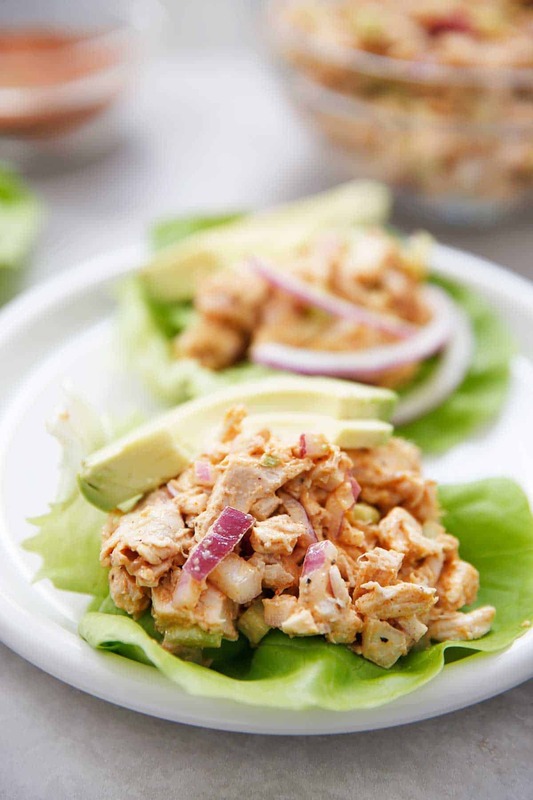 These Smoky Chicken Salad Lettuce Boats are a perfect easy and flavorful lunch idea! 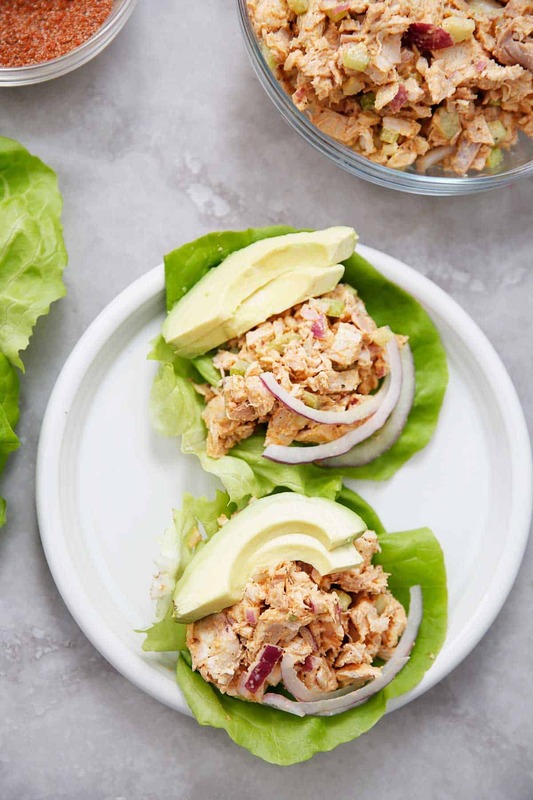 I love this smoky spin on your classic chicken salad recipe, and it’s great for meal prep, too! Healthy, 21 Day Sugar Detox Approved, and so yummy! 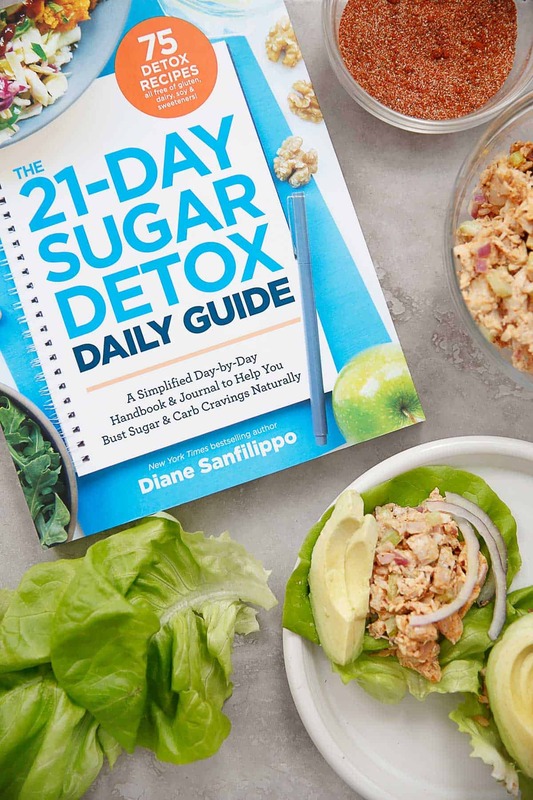 Today’s recipe comes to you from my friend Diane’s newest book, The 21-Day Sugar Detox Daily Guide: A Simplified, Day-By Day Handbook & Journal to Help You Bust Sugar & Carb Cravings Naturally! This daily guide is a fabulous resource to have in your collection! It’s the third book in the 21-Day Sugar Detox series, and it’s packed with information to help you have success throughout the program! It’s a really really great book and as usual with Diane, it’s JAM-PACKED taking you week by week, and even through the week before and after the detox! The program itself is designed to help anyone struggling with sugar and carb cravings. 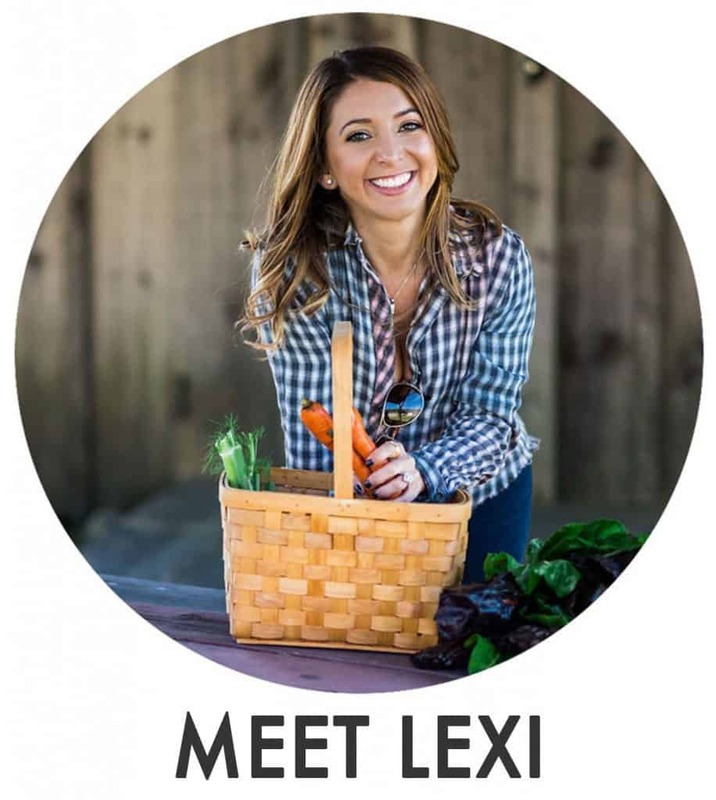 It is a whole foods based program made for anyone who wants to clean up their diet. With multiple levels of the program, it really is for everyone and anyone, no matter your current eating habits, health issues, and so on. With the daily guide, you’ll learn what to expect each day of the Detox, from how your body might be responding to how you might be feeling mentally! In a medium mixing bowl, combine the mayonnaise, spice blend, celery, and red onions. Add the shredded chicken and mix to combine. Taste to check the seasoning and add salt and pepper if needed. Serve in romaine lettuce leaves and garnish with tomato slices and an extra sprinkling of the spice blend and black pepper. Egg-Free? Mash half of a ripe avocado to use in place of the mayonnaise. Grab The 21-Day Sugar Detox Daily Guide today! Two winners! Head to INSTAGRAM. 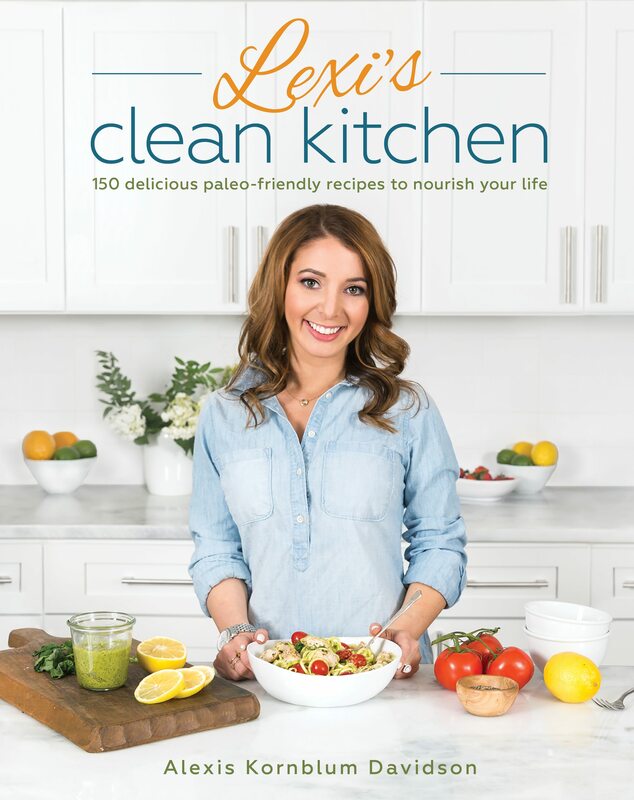 Simply follow @lexiscleankitchen, @dianesanfilippo, and the @21daysugardetox on Instagram and tag a friend in this photo to be entered to win! 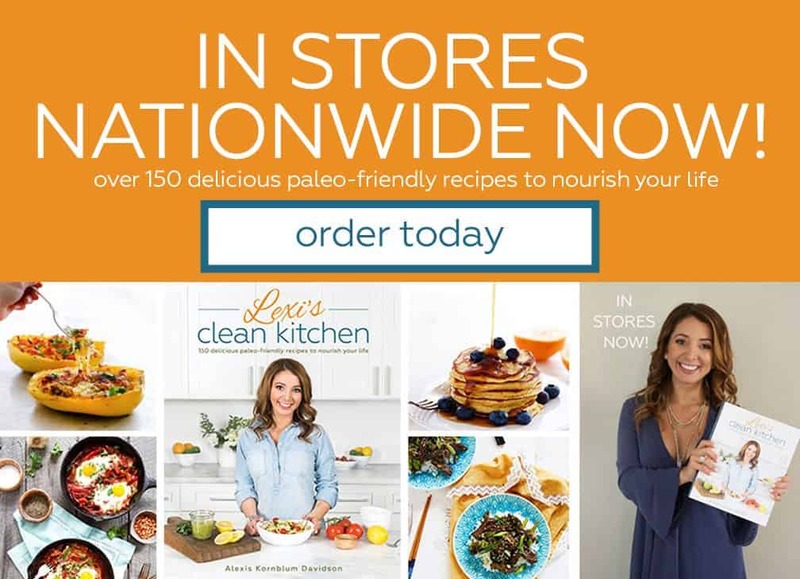 Ends 2/18 at 11:59pm PST.